Established in 2015 and based in the heart of the Cotswolds, Angelfish Opinions helps the big (and little) brands connect with their customers by organising paid market research and finding people to take part in paid focus groups, surveys and online communities. Technology has and continues to affect every area of our lives, and the world of market research is no exception, and, as a result, we’re dedicated to delivering research for a digital age. What exactly is paid market research? Companies rely on paid market research to find out what people really think about their products and services and how they can be improved. It’s a win-win: you get the opportunity to earn some wonga whilst voicing your opinion on the various brands you use each and every day; sharing some really great ideas on how to improve some of your favourite gadgets. And not only that, it’s actually good fun and rewards vary from £1 – £100, usually in the form of cash or gift vouchers. Where the Group started back in 2011. GKA are specifically focussed on medical market research and one of the most experienced fieldwork agencies in the industry with over 15, 000 doctors and nurses at their fingertips ready to voice their opinion. A new breed of digital fieldwork agency providing the very best people for market research. These guys work collaboratively with brands to find the most valuable respondents research studies. A digital marketing agency, focussed on inbound marketing services. Working closely with clients to deliver commercial success using the very latest digital strategies to generate leads whilst getting the biggest bang from their buck. “It was a brilliant and fun experience with opinions from different perspectives I hadn’t considered before. 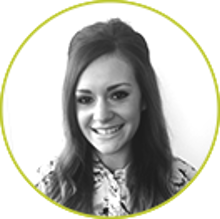 Also receiving incentives for your time and thoughts is great.” Katie, Administrator, Birmingham. “The Angelfish Opinions staff made the experience really easy as the whole process was well organised and answered any questions I had. I would definitely recommend Angelfish Opinions.” Ethan, Web Developer, Exeter. “Angelfish Opinions made the experience fun, relaxed and interesting. Definitely want to do more studies through them.” Lewis, Architect, London. Don’t panic, we are, of course, members of various market research governing bodies, including The Market Research Society (MRS), AQR and ESOMAR and so everything we do is completely legitimate and above board! If you’re looking to earn yourself a of extra money for your Christmas fund, then why not get in on the action and take part in some paid market research. It’s nearly that time of year again where the big man is preparing to travel all the way from Lapland to each and every house throughout the world delivering delight to expectant little faces. Now, if you’re anything like the majority of people, you’re likely to delay the onslaught of Christmas shopping, leaving it to a few days before Christmas. Running around in an utter state of panic only coming up for breath when stopping for the occasional mulled wine. The costs involved may also be playing on your mind, so here are a few ideas to make extra money for Christmas. It can be a super busy time of year, so get yourself organised and read our hints and tips for a stress-free, credit-free Christmas…. Many people groan at the October displays in supermarkets across the country, however, use this as a little reminder that Christmas is just around the corner! The sooner you start planning, the less stress you’ll ultimately inflict upon yourself. As simple as it sounds, who do you need to buy for? Write a list and as you buy each item, cross them off. Everyone loves a visual to show them what they’ve achieved. And, if you have a forgetful nature, you’re safe in the knowledge that you’re not going to forget to buy for Great Aunt Edith. Do you really need to buy for 30 people? More often than not, we buy for the sake of buying. Yes, it’s a festive time of the year and as a symbol, we give presents to those we love. However, don’t you think it can get a bit out of hand? Have the conversation. You’ll probably find they’re thinking exactly the same thing! So, perhaps you decide that you no longer buy for one another and instead just concentrate on the kids. We like to get together with people instead of buying presents; so why not spend our hard-earned cash on a family gathering, rather than on presents which will soon be forgotten about? Have you actually asked your friends and family what they want? We don’t know how many times we’ve been bought something that either we already have or that is of no use to us whatsoever and if there’s no receipt in the bag, it’s devastating! Secret Santa’s a well-known concept in office environments, whereby you pick a name from a hat and buy only for that particular person, with a budget of, say, £10. However, there’s no reason this can’t be done within a family setting as well. Set your budget, write a list of what you’d like and where they can buy it, and that means everyone gets what they want and it hasn’t cost the earth. Plus, if you want to make sure your Secret Santa even better, check out these ideas to make extra money for Christmas! It’s always useful to have a few more pennies in the piggy bank! In the same vein as kids birthday parties, we’d much rather our children have a couple of really decent presents as opposed to 30 x £5 presents which take up heaps of space and are forgotten about within minutes of opening. Instead, family members or friends can team-up and buy some bigger gifts to go down a storm. Please don’t think we’re being scrooge-like setting out the above. For us, Christmas is a time for celebrating and spending time with the people you love. All too often, this sentiment gets swallowed-up and is overtaken by the stress of buying for one another. Don’t forget to take a look at our ideas to make extra money for Christmas here. Our market research studies are great fun, plus you get to share your opinions to make a difference to the brands you love. Christmas is fast approaching (yay!) and there’s just something so magical about this time of year; the decorations, the lights, office parties, mulled wine and so much more. So, to make sure you make the best of this we’ve put together a guide of the top UK attractions to ensure that as of the 25th December, you’re suitably full of Christmas spirit. So, grab yourself a mulled wine and read on…..
Soak in the festive atmosphere in Hyde Park’s Winter Wonderland; Here you’ll find winter markets, warming festive food to tickle those taste buds, fairground rides, plenty of mulled wine as well as being able to meet Father Christmas himself of course. Entry into the park itself is free, however, you do have to pay for some of the attractions all of which can be pre-booked to avoid disappointment. After sunset, go on a mile-long tour of the magnificent illuminated Kew Gardens. This year they’ve included singing trees, huge flora-inspired lights, kaleidoscopic projections and a fire garden. As always, Father Christmas and his Elves will be waiting for their younger guests in the North Pole Village, while grown-ups can delight in Christmas shopping and seasonal food and drink. Escape the crowds to Cornwall and visit the magical Eden Project. An enchanted walk through the sparkling forest which consists of an audio-visual show, craft workshops and storytelling. Work-up an appetite on the beautiful ice rink (skating penguins available for the little-uns), whilst listening to Cornish choirs. Visit Father Christmas in his grotto and take a sneaky peak inside the elves workshop. From Autumn onwards, Westonbirt Arboretum is a wonderful place to visit and during their enchanted Christmas event, it doesn’t fail to deliver…..Wrap-up warm and see the trees in a whole new light on this spectacular trail as well as enjoying Christmas crafts, meeting Father Christmas (and even Mrs Christmas) himself and taking a ride on the carousel. This is Scotland’s largest ice rink and welcomes skaters of all abilities; even those non-skaters will have the opportunity of soaking up the atmosphere in the festive lodge overlooking the rink, serving traditional food and drink. The perfect place to enter into the spirit, visit Nottingham’s Old Market Square to enjoy picture perfect Christmas festivities. Featuring over 50 huts offering traditional, local gifts. Walk amidst snow-topped trees and cabins engulfed in wonderful aromas drifting from food and drink stalls and make your way to the ice rink to enjoy a skate whilst enjoying live music. Warner brothers most renowned set is transformed for the festive season; A smattering of snow and dripping icicles, see the makeover for The Great Hall and The Gryffindor common room. You will even have the opportunity to touch samples of the various types of snow used during production. For Harry Potter fans, this is a must. 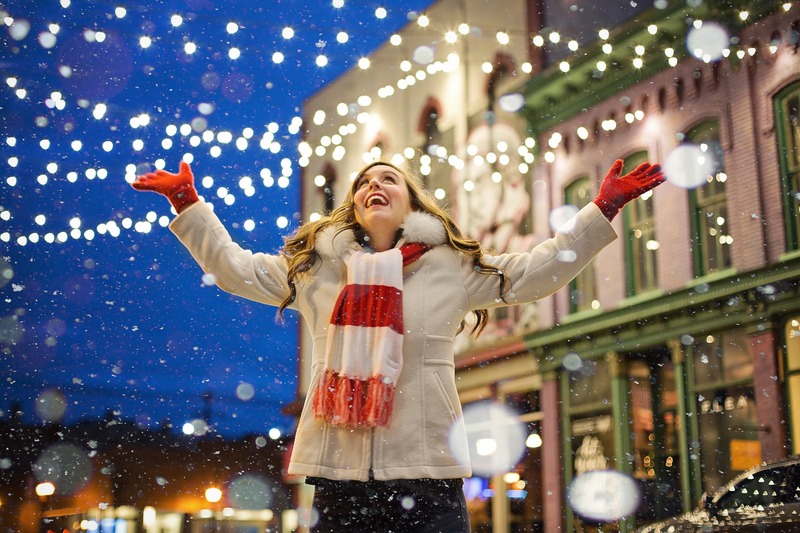 Of course, there are many other Christmas activities spanning the UK over the festive period, including winter wonderlands, carol concerts and much much more. Why not add some extra cash to your Christmas funds by signing up to take part in paid marketing research now.Sign Up Here.